A New Year is a time to embrace positive changes, refresh and rejuvenate yourself, and to set goals for the year ahead. To inspire you to get organized (with charming office supplies), feel pretty and pampered (with deluxe skincare, haircare, and makeup), and enjoy a little “me time” this month, Inspirations & Celebrations presents the “Do What You Love Giveaway”. Whether you’re a full-time career woman, a motivated college student, or a stay-at-home mom, when you do what you love, you feel fulfilled and happy. To keep you inspired this year, this prize package contains a myriad of goodies that will help you dream big, achieve goals, and look great in the process. An inspiring moment: A journal that encourages us to jot down our dreams, wishes, and goals each day. A fun way to work: Cheeky, charming office supplies and desk accessories that make work enjoyable. A little “me time”: Luxurious bath & body products that help us relax and unwind after a long day. A lotta glam: A gorgeous makeup palette and bold lip color that enhances our natural beauty. About time: A stylish and sporty watch that keeps us on time (even when we’re fashionably late). The winner of The Do What You Love Giveaway will receive a deluxe prize package (valued at appx. $400) including a Casio G-Shock Watch, Tarte Cosmetics Double Duty Beauty Palette, Kate Spade New York ‘Whistle While You Work’ Tackle Box, Rahua Voluminous Dry Shampoo, Elemis x Misha Nonoo Bag and 5-pc Skincare Set, Curél Hydratherapy Lotion, Flutterby Mascara Shield, Bloom Mineral Beauty ‘Basic Beauty Essentials Starter Kit’, DevaCurl Buildup Buster, Amika Triple Rx Masks, Sephora Lip Pencil, Sweet & Shimmer Satin Shower Cap, Memopad, and a Do What You Love Journal. There are lots of ways to earn entry points in this giveaway. To start with – earn 20 entry points just by signing up for our e-newsletters! Earn 5 bonus entries by sharing this giveaway with friends (by email and social media). The viral share link option can be found in the list of entry options below. Keep checking back daily, as more ways to gain entries will be added! 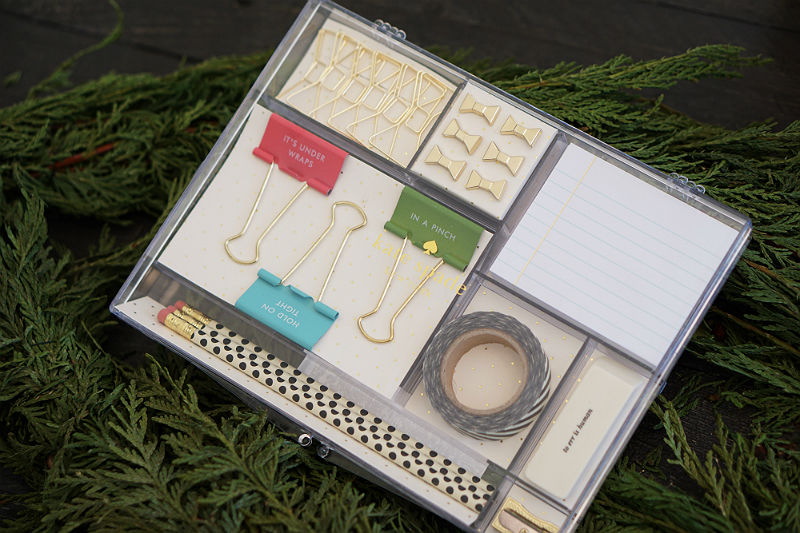 Kate Spade New York ‘Whistle While You Work’ Tackle Box: Get motivated, get organized, and get going this year with this adorable office supply kit. Containing all the essentials (including polka dot pencils, striped tape, cheeky binder clips, stylish push pins and paperclips, and more), this must-have desk accessory kit is the ultimate way to get you inspired to do what you love this year. Tarte Cosmetics Double Duty Beauty Palette: Get gorgeous this year with this compact beauty palette that features high-performance makeup, including blush, eyeshadows, and powder eyeliner. 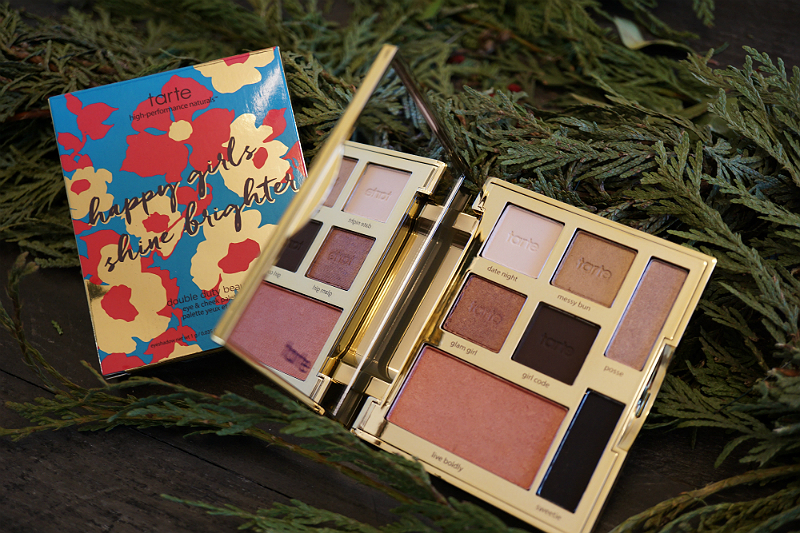 Because happy girls shine brighter, this deluxe beauty palette is a must-have for any beauty-lover. 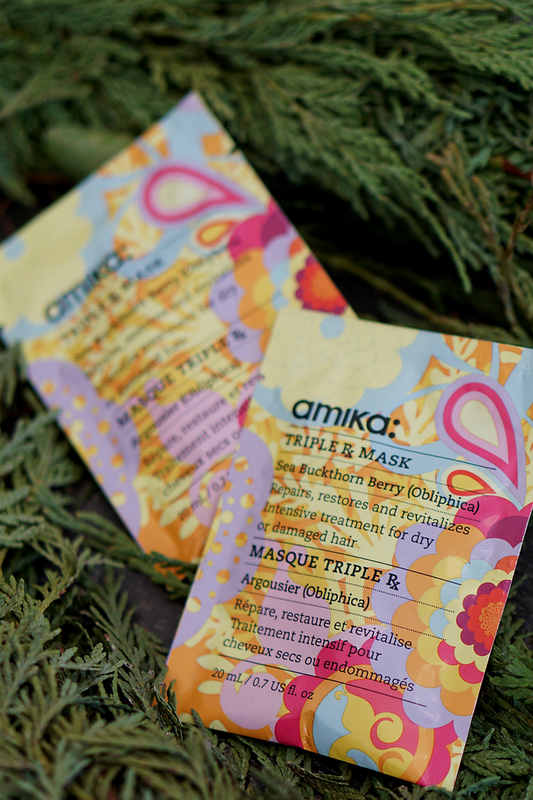 Amika Triple Rx Masks: Great for travel or busy weeks, this intensive hydrating hair mask repairs, restores and revitalizes lackluster hair. Moisturize dry locks for shiny, bouncy hair that reflects light and looks healthy. Bloom Mineral Beauty ‘Basic Beauty Essentials Starter Kit’: To help you love how you look this year, this mineral-based beauty trio deeply cleans pores, gently exfoliates and removes impurities, and moisturizes dry skin. This starter kit contains a Purifying Mud Mask, Hydrating Almond Scrub, and Shielding Foot Cream. Casio G-Shock Watch: Both stylish and sporty, this navy blue Casio G-Shock’s analog-digital sports watch features quartz movement, world time, a stopwatch, a countdown timer and other functions that deliver precision when you need it. Plus, it’s water-resistant up to 200 meters, making it ideal for swimming or doing water activities. 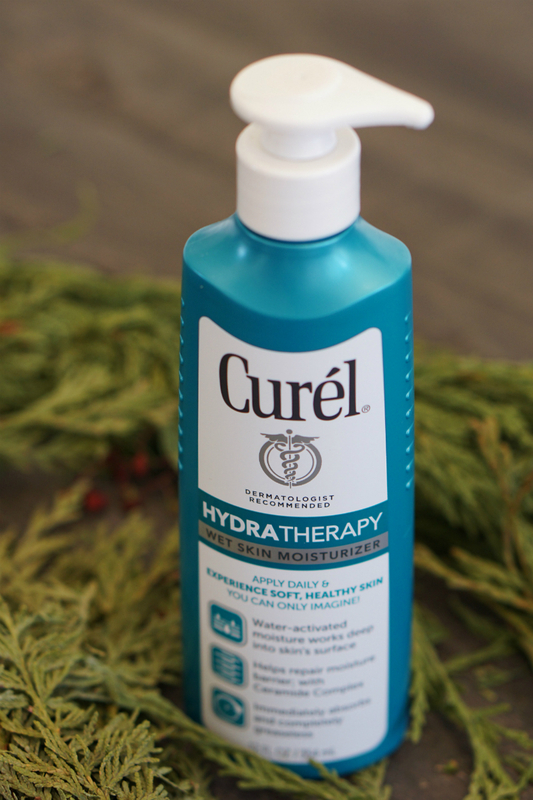 Curél Hydratherapy Lotion: Gone are the days of dry, cracked skin. Stay hydrated this winter with this emollient-rich wet skin moisturizer. This water-activated lotion deeply penetrates the skin, helping to repair dry skin with a Ceramide Complex. Plus, it immediately absorbs and is completely greaseless, so it saves you time on those busy mornings before work. DevaCurl Buildup Buster: This hair serum uses micellar technology to remove hair styling product buildup without stripping the hair of essential oils. Abyssinian seed oil and jojoba boost moisture and shine, bringing a healthy bounce back to waves and curls. Plus, the refreshing scent leaves you with a clean, fresh feeling. 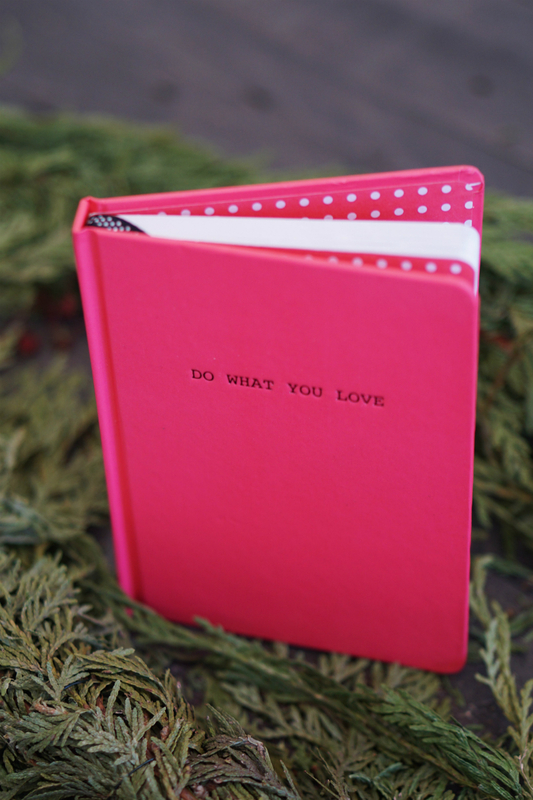 Do What You Love Journal: To inspire you to write down your dreams, wishes, and goals for the New Year, this sweet little journal features the message “Do What You Love” on every page, reminding you to love each day. 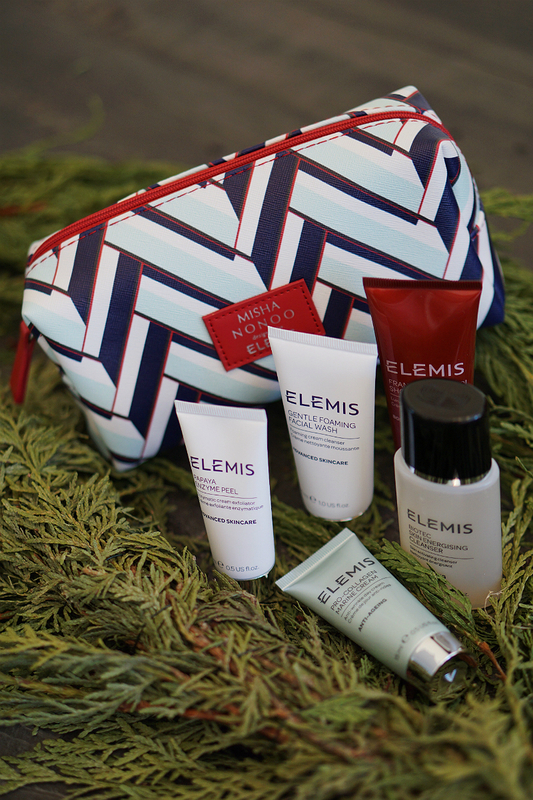 Elemis x Misha Nonoo Bag and 5-pc Skincare Set: To keep your skin looking youthful, radiant, and beautiful, this 5-piece travel-sized skincare set from luxury skincare brand, Elemis, comes in this chic graphic print travel bag. From the anti-aging Biotec Skin Energising Cleanser to the Papaya Enzyme Peel, this travel set of skincare products is great for any gal-on-the-go. 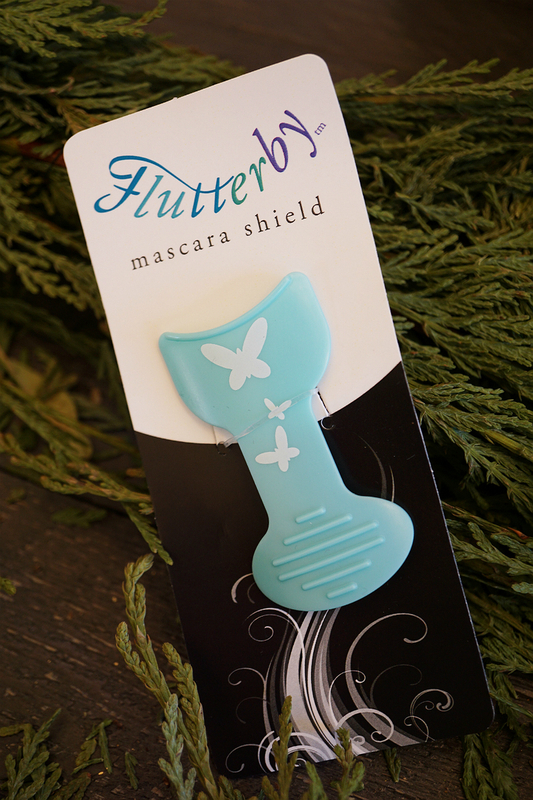 Flutterby Mascara Shield: To prevent mascara flecks from landing on your cheeks or underneath your eyes, this clever little gadget makes mascara application simple and fuss-free. Save time and avoid the hassle each morning by using this mascara shield in your makeup routine. 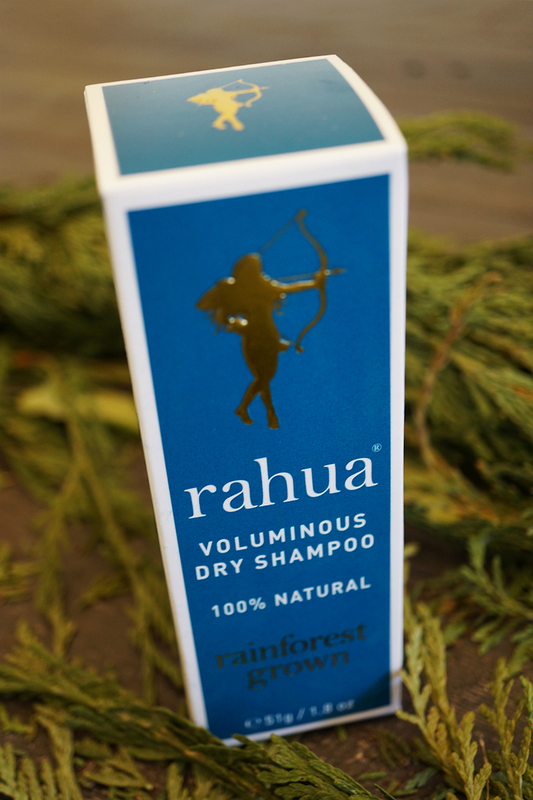 Rahua Voluminous Dry Shampoo: Because every smart woman knows that the key to extending the life of a blowout is with dry shampoo, this volume-building 100% natural dry shampoo is a must-have hair product. Containing natural ingredients from the Amazon, this lightly scented dry shampoo helps revitalize next-day hair. 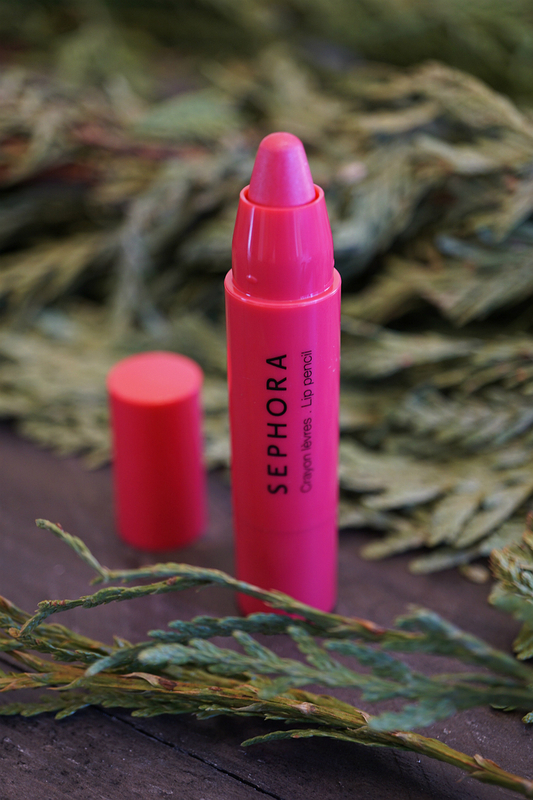 Sephora Lip Pencil: Acting as a two-in-one beauty product, this easy-to-use creamy lip pencil doubles as a lip crayon, saving you time and money. For a bold beauty look, a dramatic lip color (like this vibrant hot pink hue) is all you need, whether you’re heading to work or going out on the town. 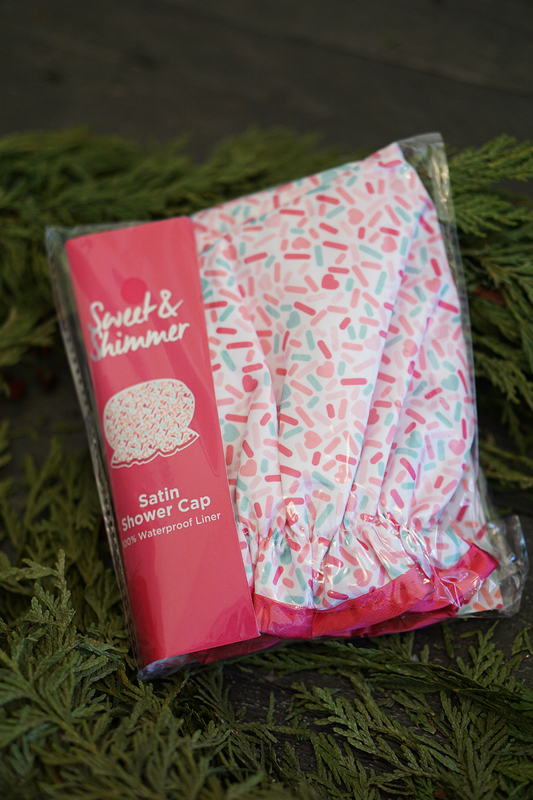 Sweet & Shimmer Satin Shower Cap: This cute waterproof shower cap makes it easy to jump in the shower without ruining your hair. To save you time in the morning, simply wrap hair up in this satin shower cap, then follow with dry shampoo and style as usual. 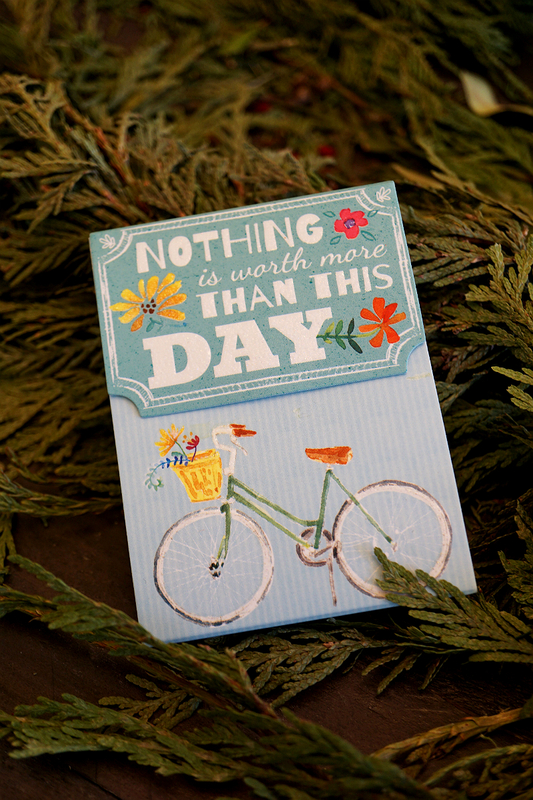 Memopad: To remind you that “nothing is worth more than this day”, this enchanting little notepad is great for toting in your purse, keeping on your desk, or stashing in your car. Jot down your to-do lists, reminders, or anything important – and always remember to seize the day! Everything is awesome but I’m most excited about the journal because it will inspire me to write down how my day went and goals for the future and anything I’ve done to reach my goals. I love the Kate spade tackle box!! Thanks so much for the chances to win. The mascara shield is so cute. I’ve never seen one of those! I’m most excited for the tarte product! I’ve heard good thing about the Elemis line of skincare products and would like to try out their Elemis x Misha Nonoo Bag and 5-pc Skincare Set. This year instead of a resolution I’m making monthly goals so that I can most successfully achieve improvements in myself and my life, and these items would go perfectly with the goals and mindsets I’m hoping to accomplish! I’m most excited about the Tarte palette because that’s my favorite makeup brand! Awesome products! Would love this! Thanks for the chance. The Casio G-Shock watch is something I have been hoping to purchase for some time. What a great prize along with the rest of the goodies. I would love to win the prize so I could do a fun girls day with my daughters and my cousin/best friend (her house is all males!!) We love getting together and just having fun. Oh I would love to win this. It’s been an overworked and underpaid kind of season for me. Things need to change! I would really love to win the watch because I’ve been saving up to get a new watch for over a year now. I would like to win this giveaway because their are so many awsome products I would like to try. Most excited about the “me time” items. I’m most excited to try the makeup palette. The colors are gorgeous! What a beautiful prize! 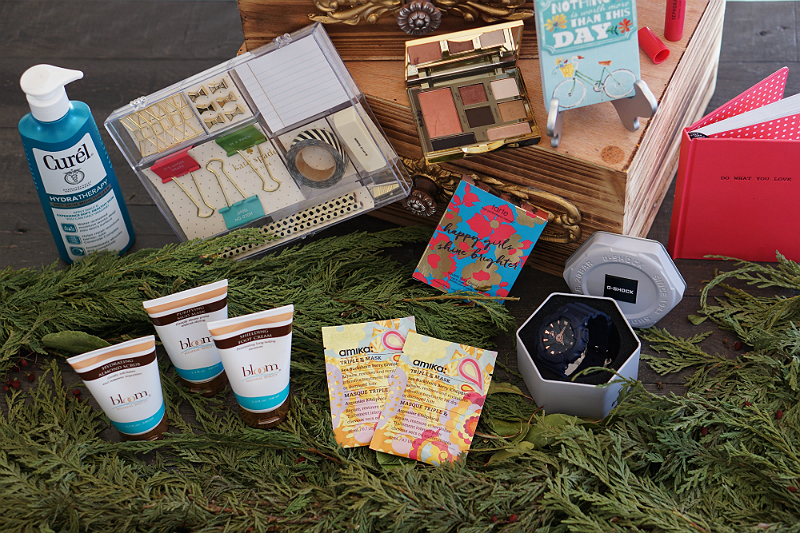 This is an amazing prize pack of products that would be very uplifting to win! Its so important not forget you in the business of life! You are worth it everyone of you. Tarte Cosmetics Double Duty Beauty Palette has wonderful shades that will be fun to try out different looks and this set will compliment many skin tones. And the skincare oh ya! I’d love to win this because there are so many things in this package that would be so useful to me. 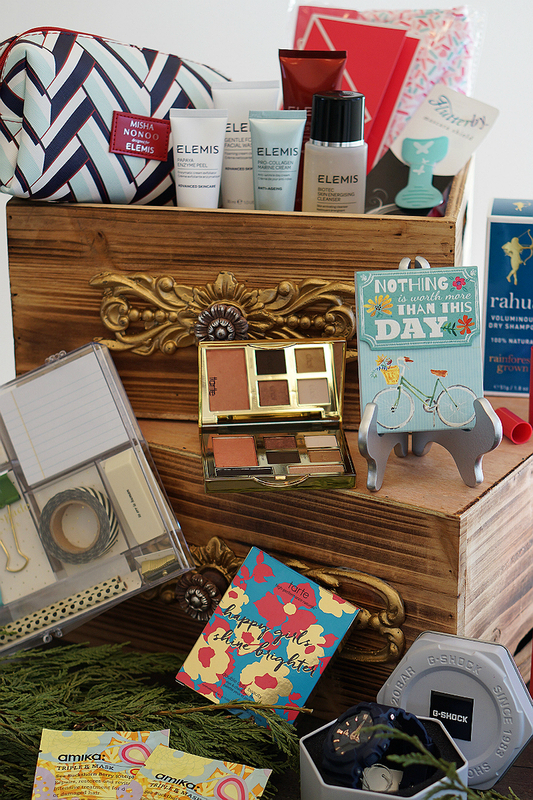 I love the tackle box, but most interested in the Elemis x Misha Nonoo Bag and 5-pc Skincare Set. That, I need! Thanks. 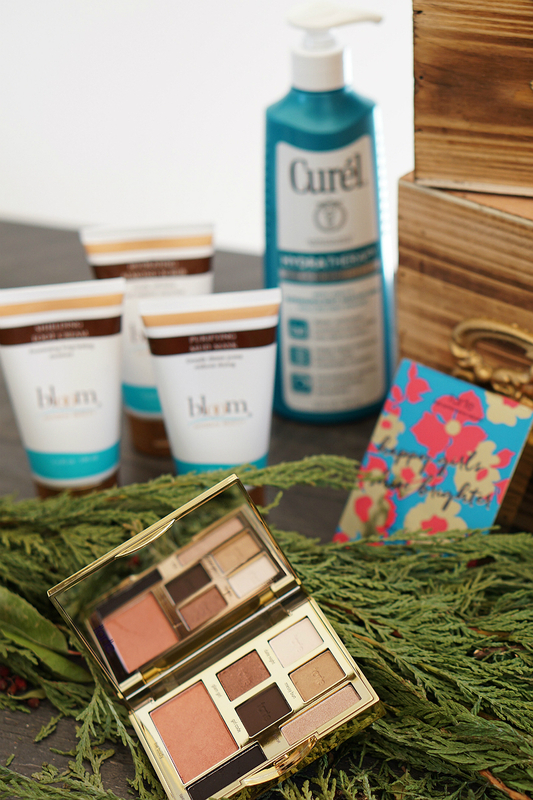 I love the watch and skim care products in this giveaway! I would enjoy to own this awesome watch, and I would be proud to receive all the compliments for such a splendid watch. Fabulous giveaway. With the products, I would look and feel amazing. I Love the watch and the facial products. Amazing giveaway! I’m excited to try the Elemis set. This is a wonderful giveaway with so many wonderful products. I would be excited to try all of them. love all these products thanks for the giveaway! I’d love to win because these products are amazing! I’d love to try the devacurl build up remover and since I don’t wash my hair everyday that shower cap would really help. I’m a skin care and make up junkie and adore tarte and am sure all the other products are just as great! What a great way to banish the winter blues! I would love to win because I love all the stuff in the giveaway. I would love to have all of these.!!!! I would like to have the casio watch. I would love to win because I put me last usually, and this would be quite a treat, it would be like Christmas, a birthday and all the holidays rolled into one. I think I am most excited about the Elemis x Misha Nonoo Bag and 5-pc Skincare Set. I think this would make my skin feel terrific, and I would be more confident. I love it all actually, thank you for the chance. I would love to try any of these awesome products! But the Tarte palette would be AWESOME! I am most excited to try the Elemis x Misha Nonoo Bag and 5-pc Skincare Set: to keep my skin looking youthful, and hydrated. Then keeping notes and inspirational messages in the lovely pink Do What You Want Journal! I love it ALL, but the Tarte Cosmetics Double Duty Beauty Palette looks really exciting! Thank you! I would be really excited about the Elemis products and the watch! I’d love to win because I would love to be able to try these products. I’m also excited to be able to have the Casio G-Shock Watch and the mascara shield because they’re both awesome gifts for me to have. I would love to win this fabulous giveaway to kick off the New Year with a bang & look great in the process. I’m most excited to try the Tarte Cosmetics Double Duty Beauty Palette! I would love to win that very nice watch, but am also hoping to try all those great beauty products and the desk organizer set because I am always taking little notes and jotting things down!! I love all of these items but it would be most fabulous to win Tarte cosmetics. I love their products! I’d be most excited to try the Tarte Cosmetics Double Duty Beauty Palette. Thank you so very kindly for the opportunity & have a great weekend!! I am most excited to try the Tarte Cosmetics Double Duty Beauty Palette. I am most excited to try the Casio G-Shock Watch. Thank you for the giveaway. Wonderful to win. I’m excited to try the Tarte Cosmetics Double Duty Beauty Palette. I love the colors. I’d love to try the products. I love the watch. I would love to win this. I have had 3 floods in my house and I can’t even afford to repair my house. It has been so depressing living with this chaos. I really could use a pick me up. I would love to win this magnificent giveaway because you always put together the best giveaways with all of the latest and best products. I need some fabulous new products in my life because I am getting older (62) and need some new skin care products and cosmetics that brighten up my look. I would really love to win the Tarte Cosmetics Double Duty Palette and the Rahua Volumizing Dry Shampoo since I love the Tarte products that i have previously tried and have been wanting to try the dry shampoo. I am excited to try everything I have never seen before!1 thank you for the chance! I would love the Casio G-Shock Watch. I definitely need a new watch. I would love to try the Elemis skincare line! I love all of the other products, but I really want to try that! Here’s to crossing my fingers on this one! haha God bless and Happy New Year everyone! I’m most excited for the Tarte Cosmetics Double Duty Beauty Palette! I especially would like to try the Elemis x Misha Nonoo Bag and 5-pc Skincare Set. Would love to win this so I can try all these great products! And send some items in a care package to my daughter. 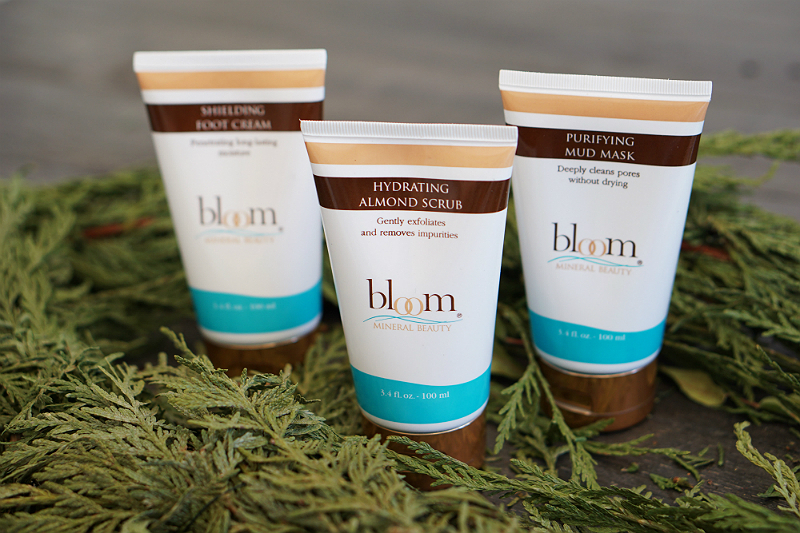 Bloom Mineral Beauty ‘Basic Beauty Essentials Starter Kit” to improve my skin! Anxious to try Elemis products. I’ve heard so much about them. I would like to win and receive the Elemis x Misha Nonoo Bag and 5-pc Skincare Set. It would be so awesome to win this contest because it is FULL of things I or my daughter would LOVE! Actually… we’d probably have to make all kinds of deals to figure out who gets what, lol! Thank you so much for the chance! This is just a good giveaway. If I win, I would give half of the products to my best friend and share it with her. She utilizes Tarte cosmetics a lot in her everyday look. I would like to try the Casio G-Shock Watch. I am excited to try them all. They all look so amazing I don’t know what I would try first. I love your contests! Thank’s! I love it all!! The watch is fantastic! And all the make up is a junkie like me..my dream! I am most excited about the Casio G-Shock Watch. I lot of great items I especially would like to try the Elemis x Misha Nonoo Bag and 5-pc Skincare Set. amazing selection of products! Would love to try them all! I love Sephora products and this prize package has a little bit of everything for my family and I.
I really like the Double Duty Beauty Palette the most. The colors are perfect for me. Oh wow! What an incredible giveaway!! I’d love to win because these are amazing prizes & I haven’t tried any of the brands featured so I would love the chance to try some new products! It would be such a treat! My mom’s birthday is coming up as well so I’d love to share some of the goodies with her for her birthday. Of all the items I’d be most excited to win the Tarte palette!! Thanks so much for the chance to win such a generous giveaway! I’d love to win this giveaway so I could give all these wonderful prizes to my best friend!! She will likely get accepted into her first doctoral program this year!!! I would like to show her how much I’m proud of her, how much she motivates me and celebrate how hard she’s working with all these lovely goodies that are straight up her alley!!! Thank you for doing this giveaway!! Best of luck to everyone!! My beauty routine needs a shakeup, so I’m excited to try the the pore cleanser, dry shampoo, and Curel lotion. I would love to win to start 2018 out right. I so need the G Shock now that I’m jogging again. I would love to win because it would give me a chance to try products that I haven’t heard of yet. I am most excited to try the Elemis x Misha Nonoo Bag and 5-pc Skincare Set. I am really embracing change and starting a TON of new things this year!! What an awesome prize this would be to start the year off right!! Im most excited for the Devacurl build up buster!! I have curly and frizzy hair and get build up often with the products I use!! Love the watch and Deva Curl products. I’d use both of those lots. I’d like the Tarte Cosmetics Double Duty Beauty Palette because I love makeup and this looks like a great prize pack. What great goodies! I’m most excited to try the Elemis x Misha Nonoo Bag and 5-pc Skincare Set! Every prize item in the DO WHAT YOU LOVE GIVEAWAY would be great to win – Casio G-Shock Watch, Tarte Cosmetics Double Duty Beauty Palette, Kate Spade New York ‘Whistle While You Work’ Tackle Box, Rahua Voluminous Dry Shampoo, Elemis x Misha Nonoo Bag and 5-pc Skincare Set, Curél Hydratherapy Lotion, Flutterby Mascara Shield, Bloom Mineral Beauty ‘Basic Beauty Essentials Starter Kit’, DevaCurl Buildup Buster, Amika Triple Rx Masks, Sephora Lip Pencil, Sweet & Shimmer Satin Shower Cap, Memopad, and a Do What You Love Journal. I would like any and all of them. With my birthday in January this would be a wonderful Birthday win!! There’s something for everyone that I could share with my friends and family! This would be such an awesome win! I love it! I would love to try the Elemis products, but it all looks A-Mazing! This is such a great giveaway! It would be so exciting to see these prizes at my door. Love the pink lip color and the facial products. I want to win because I always wanted to see what was in these box subscriptions… you know – experience it for myself. I love everything — but am most excited about the Casio G-Shock Watch and all the masks. I would love to win such an amazing prize. I love to have fun trying the products. Thank you so much for your kindness in this giveaway. Have a great day. Oooh my this is pampered to the max! I never had such amazing items before and I would love to try them all love to start with the Elemis x Misha Nonoo Bag and 5-pc Skincare Set get my skin feeling refreshed and beautiful. Thank you! I am most interested in trying Bloom Mineral Beauty ‘Basic Beauty Essentials Starter Kit’, because I have dry skin and I think this kid would do wonders for my skin. I would love to try the Elemis skincare line–I’ve heard great things about it! 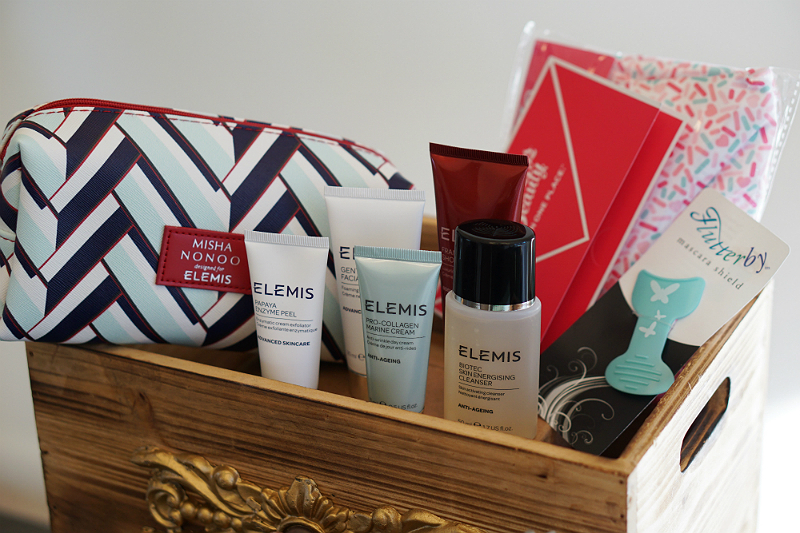 I would love to win the Elemis x Misha Nonoo Bag and 5-pc Skincare Set. My skincare products are running low and Elemis is really nice. I WOULD LOVE TO WIN EVERYTHING IN THIS GIVEAWAY BECAUSE I JUST FOUND OUT TODAY, THAT SOCIAL SECURITY IS NOT PAYING ME ANY MONEY UNTIL FEB.2ND.I WAS SUPPOSE TO GET MY CHECK ON JAN.3RD, AND WITH NO NOTICE UNTIL TODAY IN THE MAIL, THEY INFORMED ME, NO CHECK UNTIL FEB.2ND.. I AM VERY UPSET AND IN SHOCK!!!! THANK YOU..I NEED THIS ENCOURAGEMENT!!! I CANNOT EVEN PAY MY RENT OR ANY OTHER BILLS AND I HAVE NO MONEY RIGHT NOW, NOT I DIME!!!!! I love all the products mentionned above and a lot of them i acutally use almost everyday. What a great giveaway ! Happy 2018! May this year be a great one! I’m loving the Casio G-Shock Watch. Would be so great to win something like this. So stoked about it. Thank you for the opportunity. I have Lupus and the last 4yrs have been hell. This has a lot of pampering products to help bring my skin and hair back to life. It would be great to start feeling beautiful again and this package can help. Thanks for chance to win! I’m interested in using the BloomMienrals.Winter in getting pretty rough,and along with everything else in this basket,I could make the cold go away and spend a whole day celebrating ,winning this gift basket. I would love to try the Elemis skin products, they look very nice! This looks like an amazing prize – the watch looks awesome, and so do the creams and make-up! What a great way to kick off January! All of these prizes are inspirational! i would love to try the Elemis 5 piece skincare set to help with my dry winter skin! A great way to start the New Year…. I have overworked during the past few months and would love to win these products to help me refocus, relax and renew. Your collection of beautiful products are perfect to make someone feel especially inspired and very pretty! My favorite out of all these lovely treasures is the G Shock Watch! I love the stylish ,sporty look and the color of it. Thank you so much for this amazing opportunity and chance to win. I am entering with joy and all fingers crossed. I would love to win this prize package! There are so many fantastic things in it. I love to try new things and I am always looking for new brands to try and love! It is hard to choose just one item I am most looking forward to trying, but the Bloom Mineral Beauty Basic Beauty Essentials Starter Kit looks awesome and the New Year is always a good time to get a fresh start on your beauty routine. I would love to win any one of these very special items. They are fantastic and it would be so much fun trying some new things. I will be crossing my fingers until a very lucky person wins this real treat for the New Year! Im most excited about the tarte cosmetics. My hair/makeup artist used all tarte products on me for my engagement photo shoot, and I just love them now! The Elemis x Misha Nonoo Bag and 5-pc Skincare Set is top of my list. I really like the Casio watch (I love watches) and the Tarte Cosmetics Double Duty Beauty Palette! I’d be most excited to try the Casio G-Shock Watch and Kate Spade New York ‘Whistle While You Work’ Tackle Box. I would love to win because there is such a large range of wonderful products. I am most interested in the memopad. I’m looking forward to trying the Elemis 5 piece skincare set. The DevaCurl Buildup Buster looks great to try. I use a lot of product so I also end up using a clarifying shampoo occasionally but hate when they strip my hair. I work international news and sharing these products with the make-up crew would be great. I’d like to try the dry shampoo. The Elemis and makeup bag–got my eye on those! There are so many amazing prizes it’s hard to choose one, but I think I’d have to pick the Casio G shock watch. Everything is incredible. to start the New Year off!! Love the watch!! I really want to try the Rahua Dry Shampoo and the Kate Spade box would be delightful too. Oh heck, all the prizes are amazing! I don’t know which one I would try first if I win. I am most excited to try the Elemis Skincare products. They sound wonderful. I want to win because I love the colors in the makeup pallet also I need a new watch. This is a great prize package and I would love to win!!!! I’ve not tried these product before and am in the process of “re-inventing” myself for the new year. My skin care and beauty stash have dwindled quite a bit and in need of quality items. This would be nice to pamper myself with. I would love to win this because I have read such good reviews of Elemis. It looks like a wonderful skincare line. I am totally obsessed with watching elemis on QVC and can’t wait to try it! I got a sample of the facial oil and instantly fell in love! 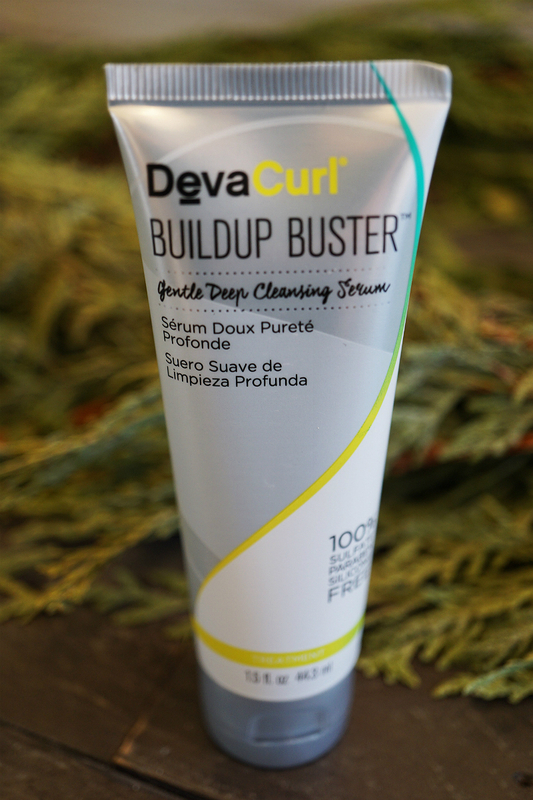 The devacurl build up buster sounds great too- I have a couple of DC products and so far am not IN love with them, but I know that I have to keep working towards finding the right combo. My sons hair however LOVES DC. Being a curly girl, buildup is an ongoing battle. And the Kate spade tackle box is basically a dream- I am an organization junkie, and when your organization tools are fashionable, it only makes it that much more enjoyable and fulfilling. I would like to try the Rehua dry shampoo as I have so many days when I have to go out and my hair isn’t up to par. Thanks for the nice giveaway. I pamper everyone around me expect for me it seem like these days. I love every items in this gift box giveawsy. It’s truly amazing gifts. Loving this giveaway. Thanks so much. 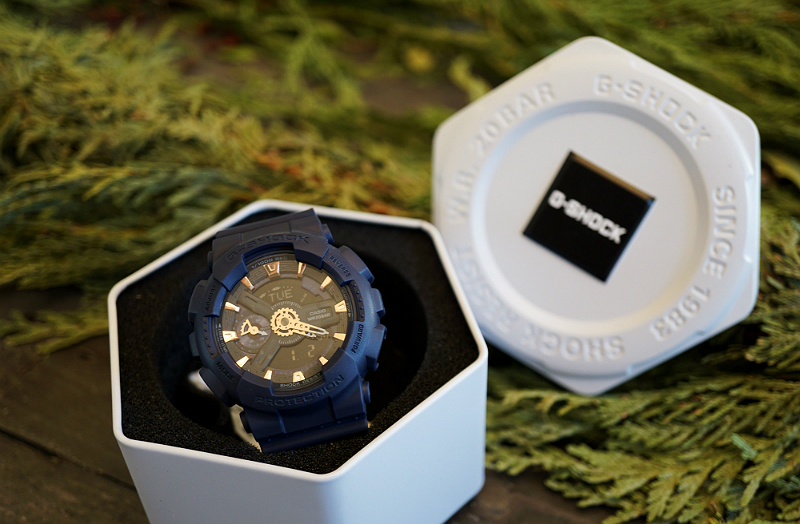 Im most excited about the G Shock watch – I had one when I was younger and loved it!